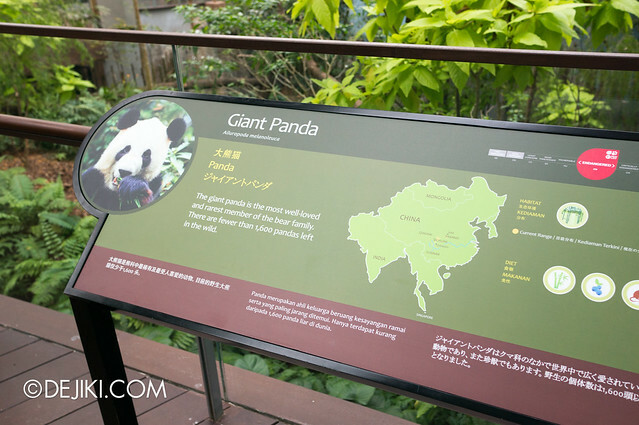 The Giant Panda Forest is a large air-conditioned complex to house the giant pandas, Kai Kai and Jia Jia, along with some friends – Red Pandas and Golden Pheasants. 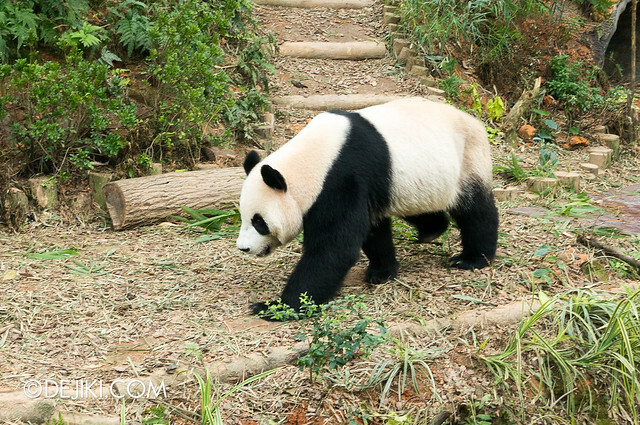 Walking into the Giant Panda Forest is like stepping into a sanctuary – after the outdoor Rivers of the World. 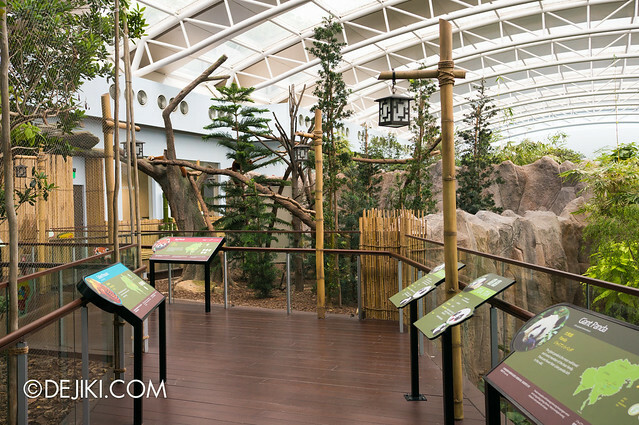 A tranquil and air-conditioned one. 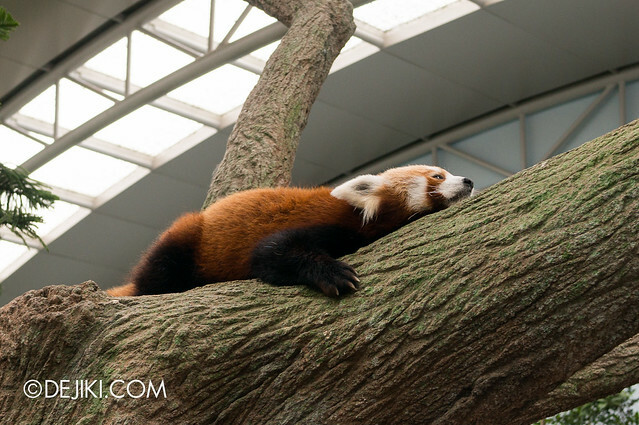 The Red Pandas seem to have a tiny area to move about. Just a few logs and branches. 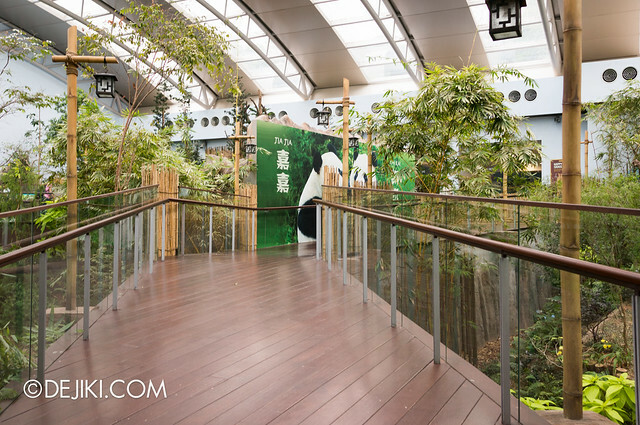 The walkway goes past the kitchen, showing what the pandas eat daily – it’s a lot! 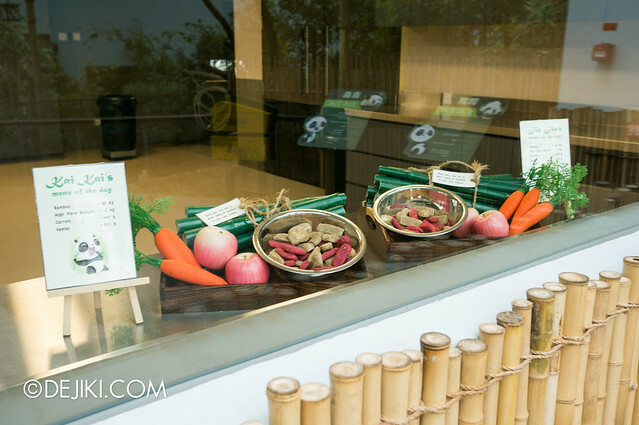 Bamboo, vegetables and some biscuits. 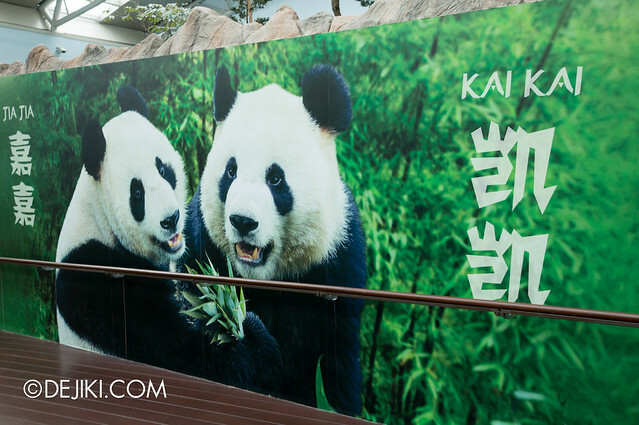 Despite the heavy rock theming around the panda complex, there is this jarring flat wall in the middle, poorly masked with a large-format photo. 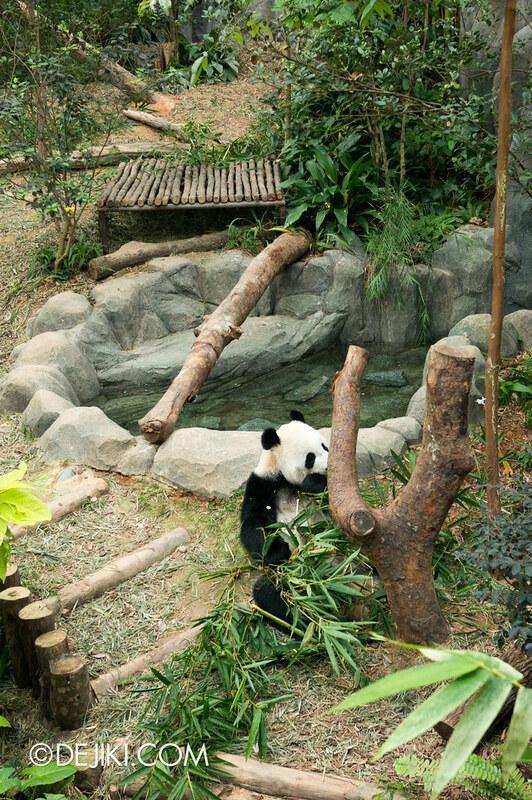 While it’s badly disguised, it’s a nice photo-spot – for visitors to take photos “with” the pandas. Meet Kai Kai! I was at the park early, so I guess it was breakfast or brunch time. 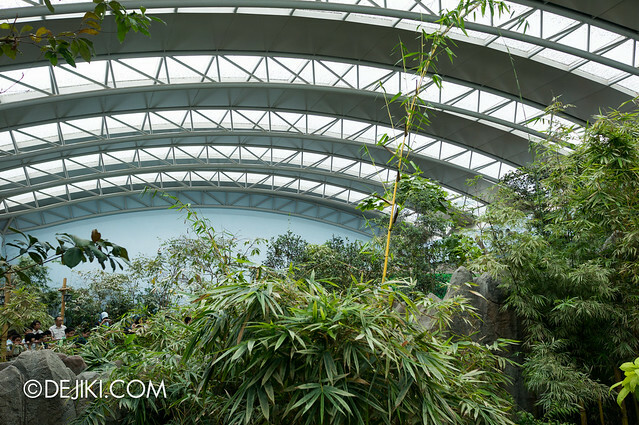 Kai Kai’s enclosure is located below the typical visitor’s line of sight, so which means not many people will notice what’s happening above. 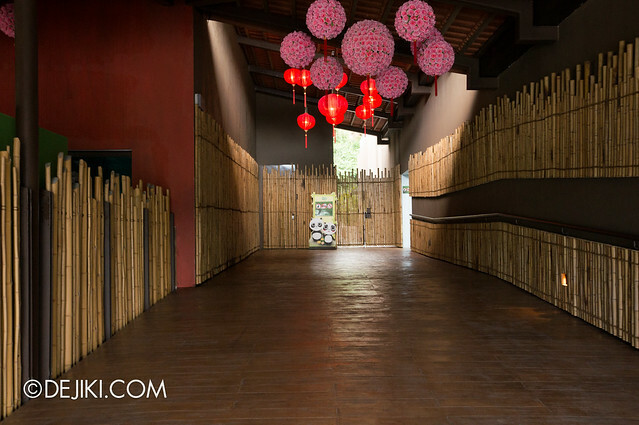 So well, have a look at the interior architecture. 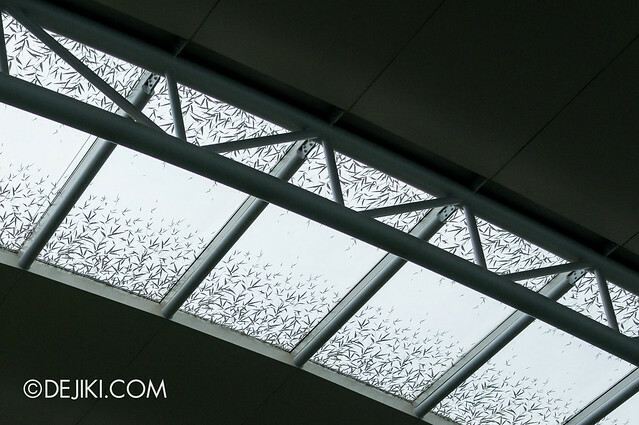 The roof windows have this bamboo leaf pattern – very appropriate to break the artificial and modern “metal and glass” look of the place. 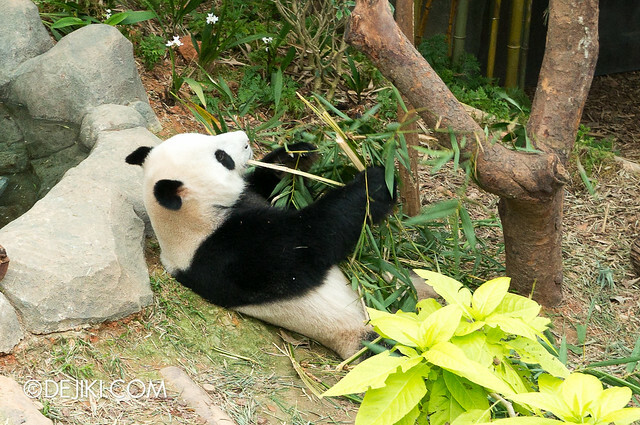 And here’s Jia Jia. 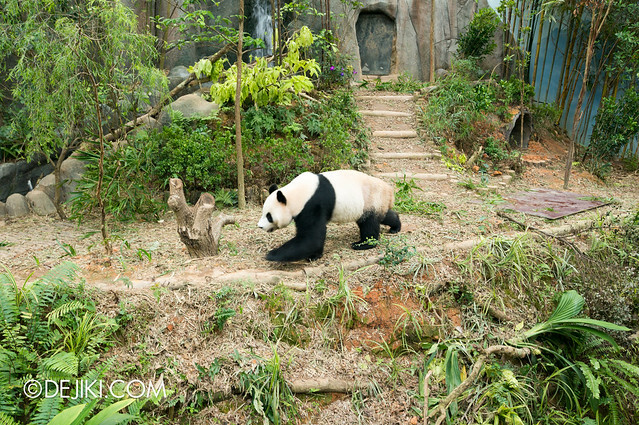 Her den is less interesting than Kai Kai’s in my opinion, and the height of the enclosure places Jia Jia around the typical visitor’s eye level. 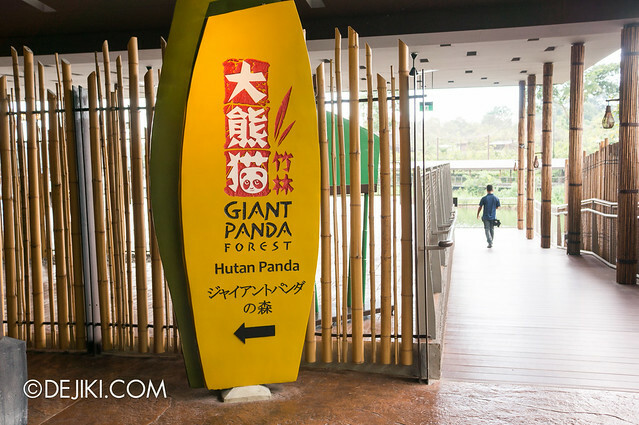 The exit of Giant Panda Forest leads to House of Kai Kai & Jia Jia, a small themed shop. 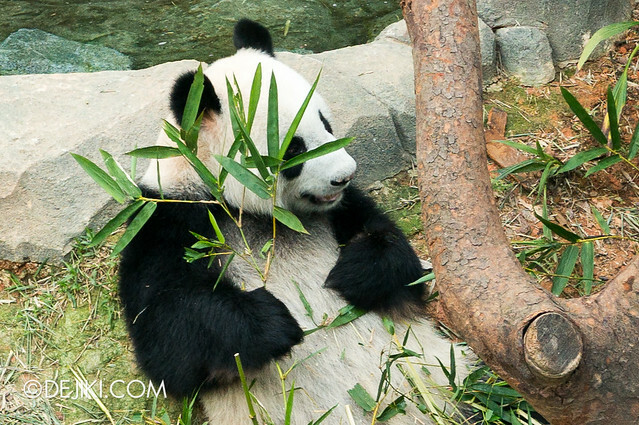 All sorts of cute Panda-themed souvenirs can be bought at the gift shop. 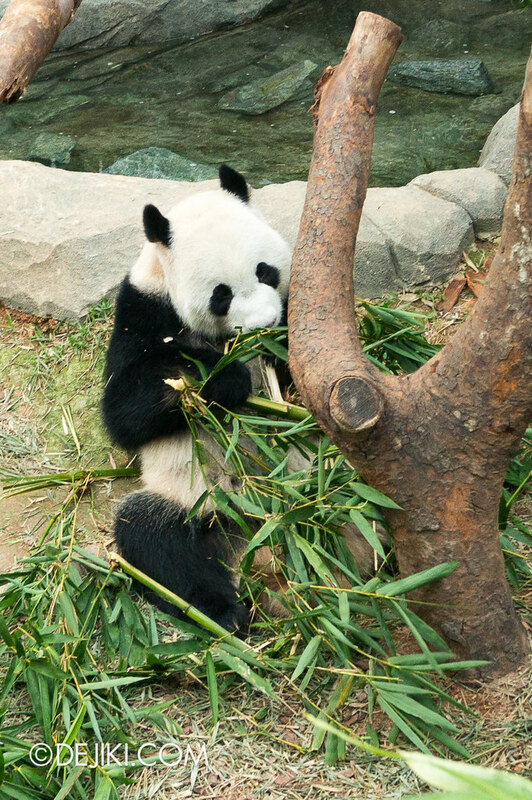 You can bring a small Kai Kai or Jia Jia plush toy home, for $29.90 each. 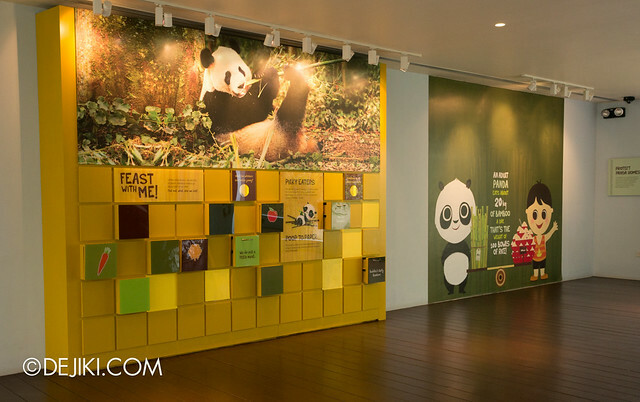 Mama Panda Kitchen is just right about the corner. 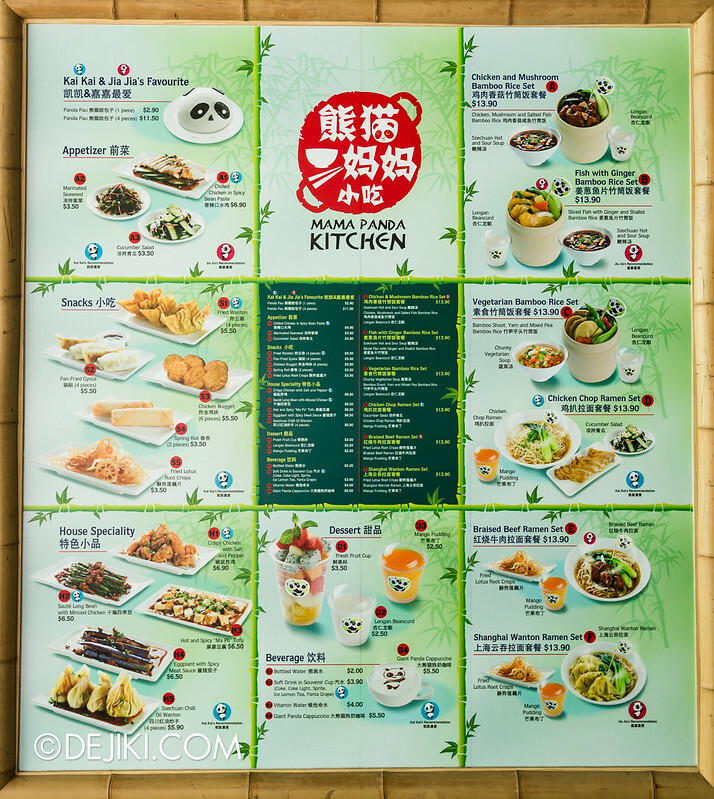 It’s a small fast-food eatery with Panda-shaped Red Bean Buns (which looks like Kai Kai’s head) and Bamboo Rice, among other Chinese dishes. 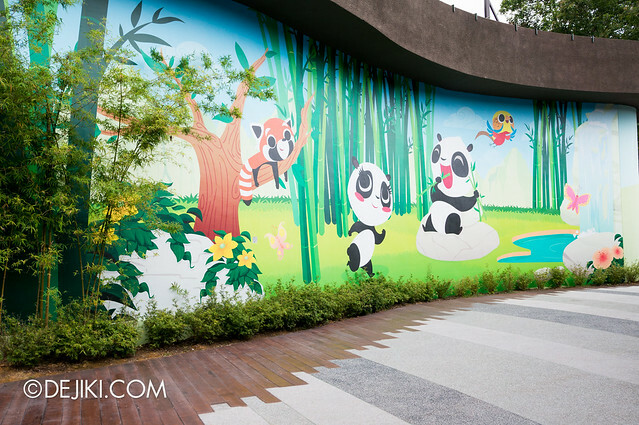 A colourful mural at the exit of the Giant Panda Forest – The Frozen Tundra attraction was supposed to be here (opening as part of the Singapore Zoo instead), but for now it’s just an attractive wall.